When is the last time that you had your family photo session? Collecting beautiful family photos are wonderful to keep because it creates a remarkable memory with the people whom we loved most. 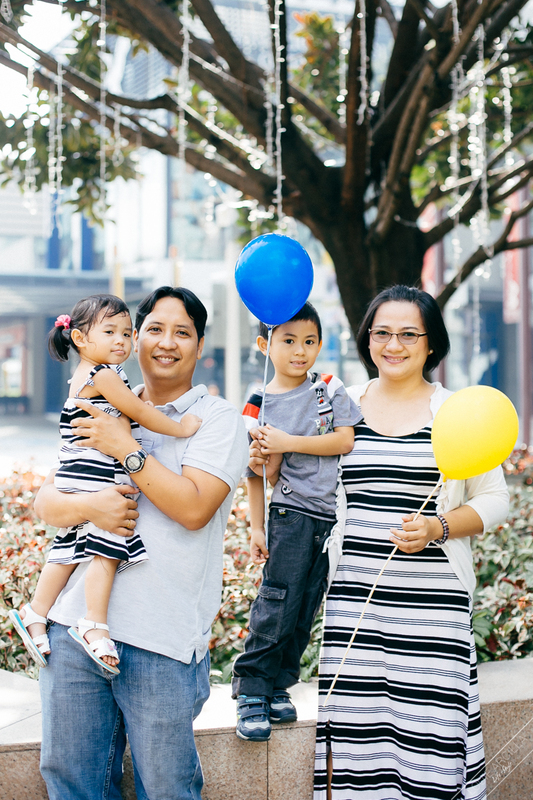 My family just got our latest photo session with Louie Arcilla Life+Style Photography. Let me share some of the pretty photos that he captured that are truly awesome! Before the day of the photo shoot, I was thinking on what my family should wear. First, I like my family to wear all-white then colorful clothing but we end up wearing plains and prints. The boys – my husband and son wore gray shirts while me and my daughter wore black and white stripes maxi dress bought from a fellow mommy blogger at Sophistique Collection. The weather is fair that is why before we started the photo session, my kids run and played at the park. I didn’t have a hard time with my six-year-old son in the photo shoot but with my youngest who is turning two this December, I think she is not in the mood during the first phase of the photo session. Look at her face in the photo, she is not even smiling 🙂 . Good thing that the photographer – “Louie” is very professional that he found a very nice spot where my daughter smiles a lot. Do you know what I love in this family photo session? Apart from the wonderful professional photography, I so much loved the moment that Louie captured our family bonding together. This is really timeless! Looking at the pictures, I feel that I am still there at that very precious moment with my family. All the photos he captured are beautiful! He is very nice to work with because our conversation was so light and our actions while he took the pictures are very natural. 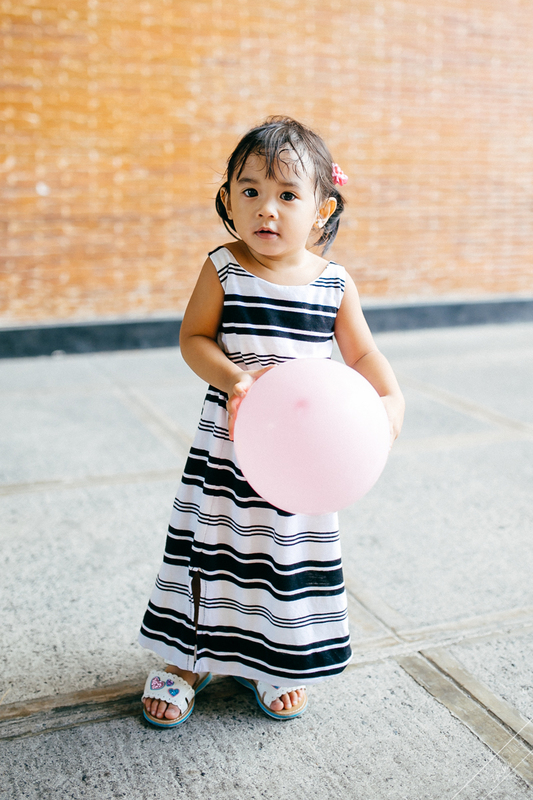 This cute little girl of mine just keeps on playing during the photo session. 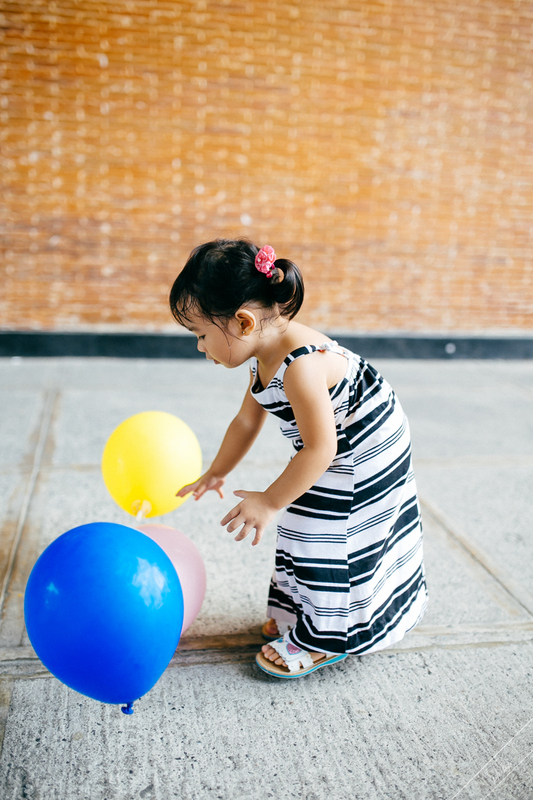 She loves to play with balloons and run. Kids grow up so fast so taking a lot of pictures of them and keeping it is a great way to bring those memories back together by the time they’re grown-ups. I am very thankful that my family got a chance to have this Family Photo Session with Louie Arcilla Life+Style Photography. Thank you so much! 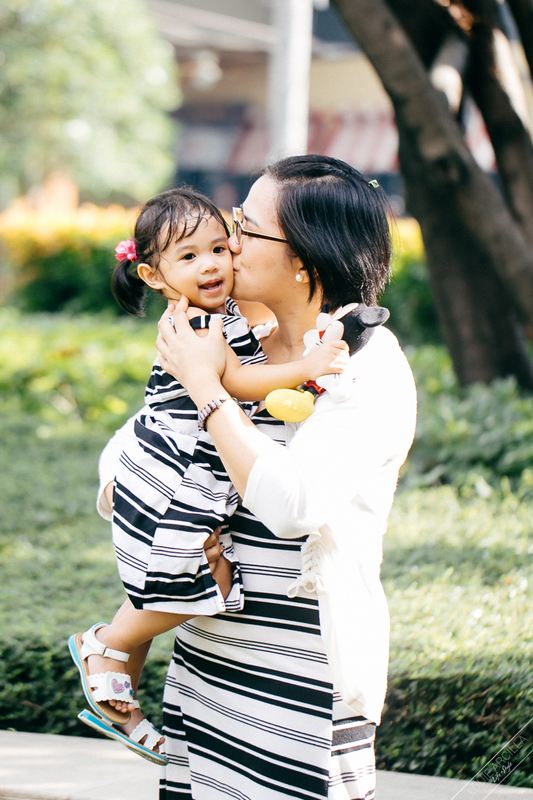 I’m sure that you like all of the photos in this Family Photo Session with Louie Arcilla Life+Style Photography. 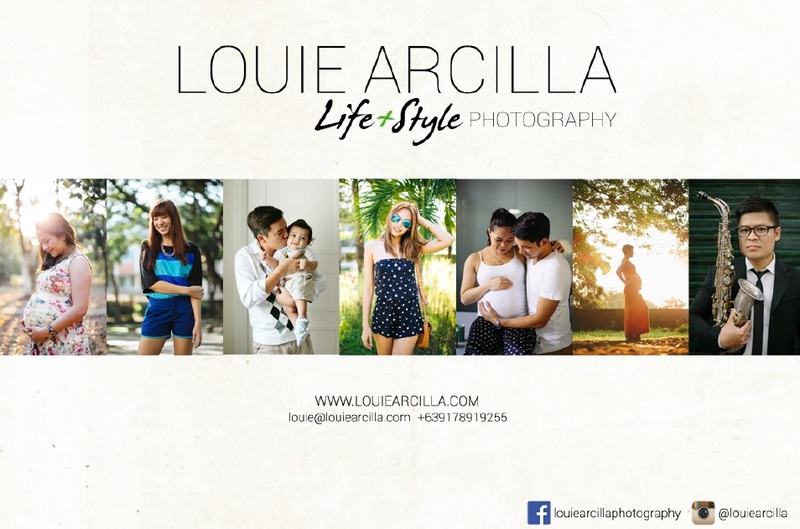 Celebrate moments in a personal, unique, timeless, and real photography with Louie Arcilla Life+Style Photography. He can capture your moments at your most comfortable time and place, whether at home or out in the open. What’s included in the Louie Arcilla Life+Style Photography? For more information, please visit http://www.louiearcilla.com and to know his latest updates at https://www.facebook.com/louiearcillaphotography. For booking and rates, email him at louie@louiearcilla.com or contact him at +639178919255. Thank you. I really wanted to take this opportunity in wearing matching outfits especially with my little girl. It’s very fun. Wow the pics look gorgeous! I want pero magpapapayat muna ako lol. This holiday season is a great time to have a family photo shoot. These are gorgeous. You have a lovely family! Beautiful family photos! We’re up for something like this, too. We should do it this year. The kids are older now. haha! Every photo looks great! 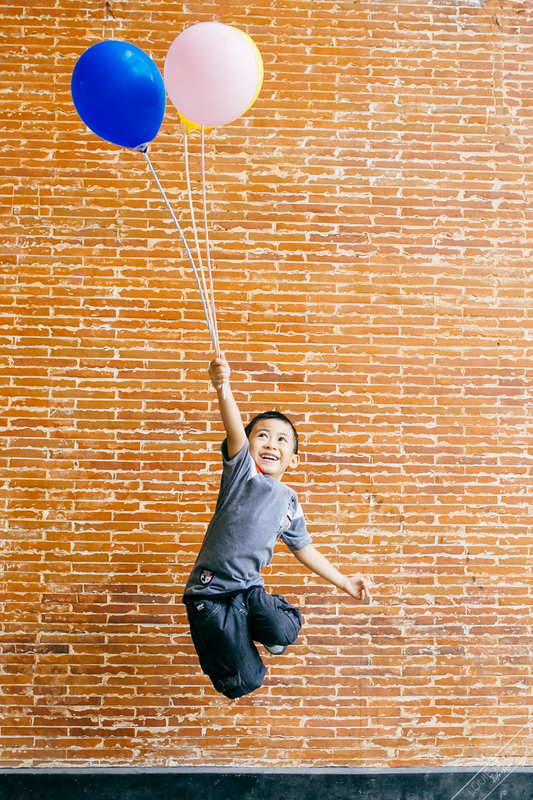 I really really love your son’s jumpshot with the balloons. He looks genuinely happy! Yes, my son is very happy with the jump shot. Every year, we have photos taken in a professional studio. The last time we had a photo shoot outdoors was 2010 pa. Maybe it’s time to have another one! Yes, we should really have annual photo shoot and wear matching outfits to make a family photo look happier and closer. Yes very ideal if we can have annual family photo shoot. Lovely photos mommy Jem! We want an outdoor shoot too! Hi Que, Yes for outdoor, kids will really enjoy and I like photos using natural light. Hi Mamemi mommy, I recommend you try it. It’s worth the time and money. Hi Ayi, Yes, it’s up to you if your comfortable with that. I guess it is also good to consider having photos of your kids while they are still young. Nice shots especially the candid shots of your kids and the family picture was great! Hi Sol, Thank you. Kids always makes the photos wonderful to look at. Ganda ng photos! We only have family selfies! I hope we can also have our family photo shoot someday. Siguro kapag malaki-laki na si Rio, para mas madali nang i-direct. Thanks for sharing your family photos, Jem! Hi Nadia, Thank you! Oh Yes, pede rin pero I would suggest na take a moment for family photos kahit maliit pa siya. Ang sarap tingnan ng family photos of different time and age. This is one of my dreams.. sana magkaroon kami ng professional photo shoot ng buong family ko.. Thank you! I bought it from a fellow mommy blogger at Sophistique collection in facebook. Hi Yvonne, Thank you. A natural smile will surely bring good photos even if you are not that fit.